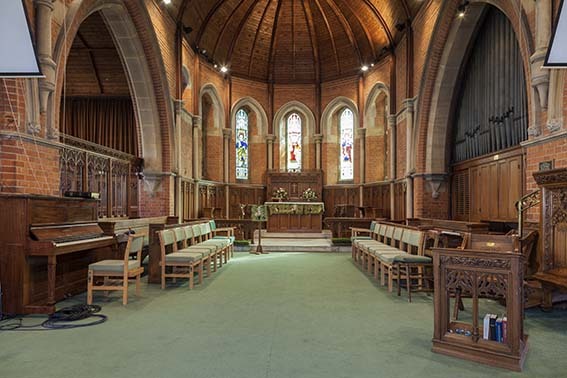 The church, which was originally in the parish of Holy Trinity, was built in 1898-1900, at a cost of £3600 (KD 1899). 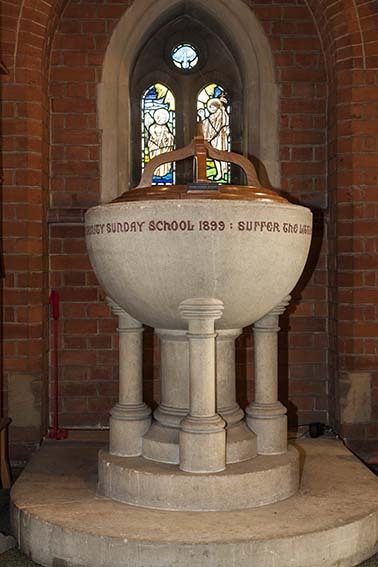 The proportions are low and the materials are flint and brick. It is in lancet style, with larger windows at the west end and an apsidal chancel with a flèche. Inside, the walls are mostly faced in brick, except that the arcades use stone for the piers and inner orders of the arches. 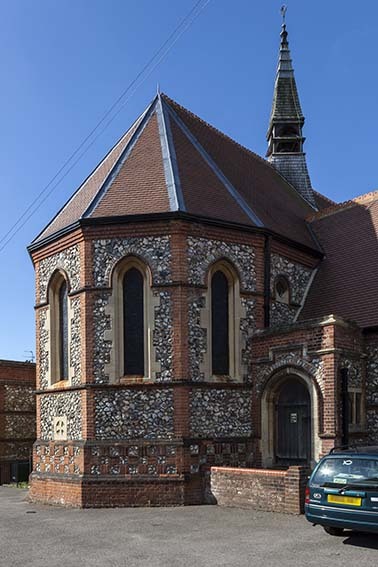 The original intention was to have a clerestory, but this was replaced by small dormers for reasons of cost. 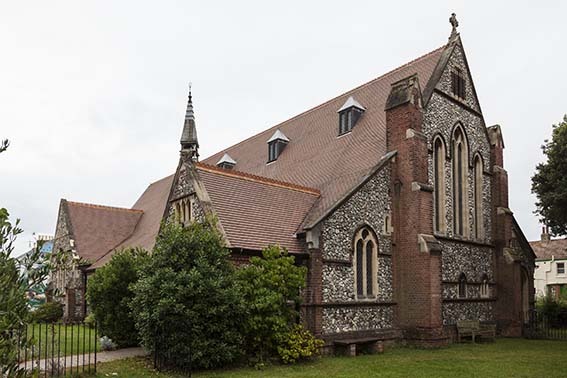 The architect was R S Hyde (CDG 75 p34) and in 1911 he added the previously intended south aisle, the porch and a vestry (CDG 214 p207) at a cost of a further £950. 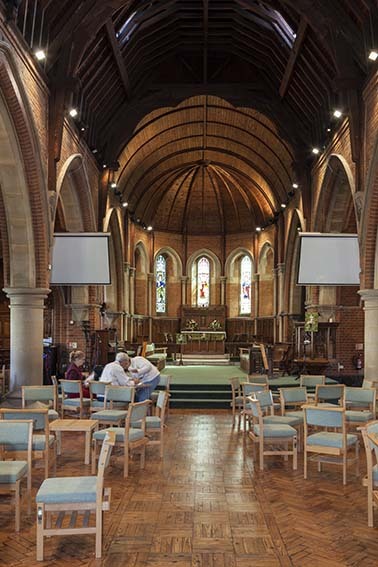 The interior has recently been re-ordered, including the removal of fixed seating. Font: A rather bulbous round bowl on four shafts and a central stem with a text round the rim. 1. (South chancel) Clayton and Bell, 1900 (www.stainedglassrecords.org retrieved on 29/3/2013). 2. 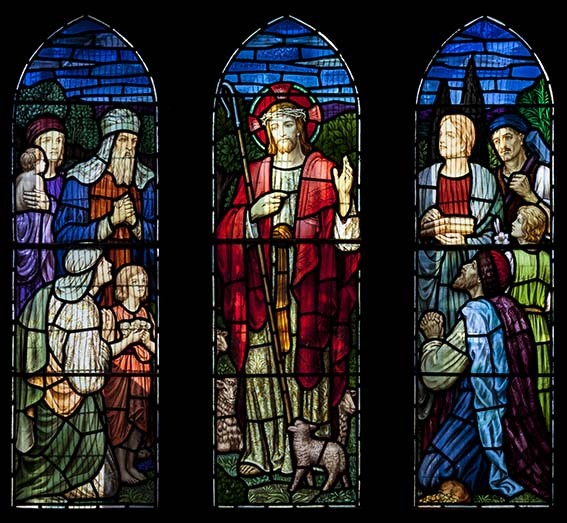 (South aisle, second and west and the right-hand light of the north aisle, first windows) W Glasby, 1928-29, 1933 and c1937 (D Green and D and J Hadley p104). The vibrant colours do not altogether accord with the conventional drawing of the figures. 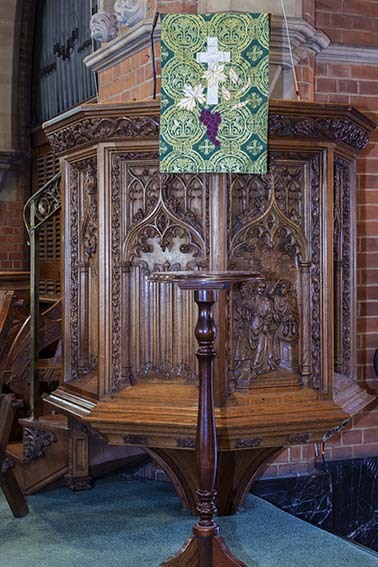 Pulpit: Wooden with carved tracery on the sides and a representation of the calling of Matthew.